UPDATE: The TJ Maxx Astoria opening has been pushed back to Sunday, MAY 19, same hours. Back in November we reported that TJ Maxx Astoria was coming to Ditmars in Spring 2019–and now that time is here! According to the TJ Maxx website (and thanks to reader Debra for the tip), that grand opening will be MAY 5, 2019 from 8 a.m. to 8 p.m. The first 500 people at the store will receive a FREE reusable bag. Stay tuned if there will be any more deals and discounts! 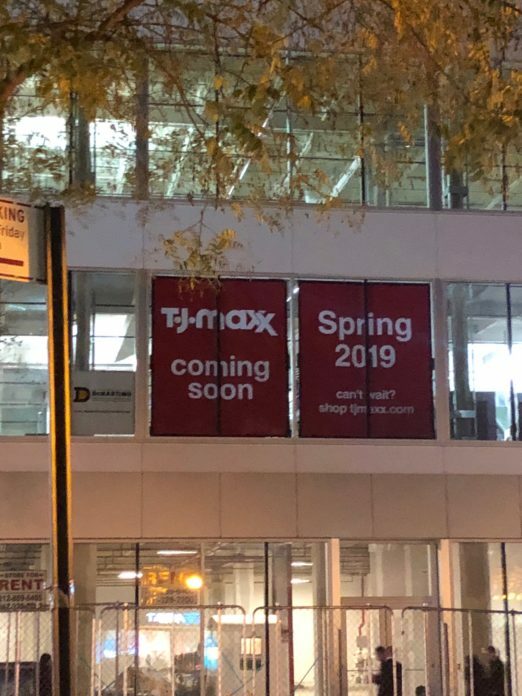 Located at 22-26 31st Street, TJ Maxx will get first dibs on customers before the Target across the street moves in, which is still slated for a 2022 opening. Are you excited about having more clothing options without trekking into Manhattan, or nervous about a big chain store in the community? Let us know in the comments! Just checked TJ Maxx website. Looks like opening has been pushed back to May 19.